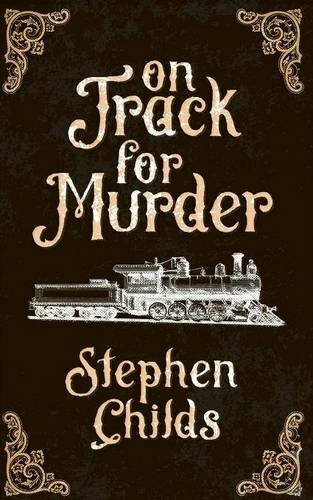 On Track for Murder tells the story of Abigail and her younger brother Bertrand, who has learning difficulties, who leave England hoping for a better life in Australia towards the end of the 19th century. Things don’t quite go to plan when her family is affected by a murder and Abigail gets involved in the murder investigation. Abigail persuades the police that their initial suspicions of who the murderer is are wrong and takes it upon herself to try to solve the murder. I found this an interesting read. It’s not a period of history I’m very familiar with, especially at that time in Australia. I thought the historical details about the railway and Perth were fascinating and the working of the justice systems were interesting too. Abigail was an interesting character being a strong, determined and intelligent woman at a time when most women were probably expected to stay quietly at home until married. Being encouraged in her education by her father had given her different expectations and a belief in her own abilities.